LOW MILES. 82780 ORIGINAL MILES. 5-SPEED MANUAL. NEW CLEAR COAT PAINT.NEW CONVERTIBLE TOP. NEW FRONT AND REAR BRAKES. NEW TIRES. NEW RADIATOR. NEW TUNE-UP. SHOWROOM CONDITION. Perfect paint! A/C is ice cold! Very clean interior. AM/FM radio CD Player. Great Ride! Runs and drives great! Financing only available with minimum 50% down payment ($4,500). Warranty available. This clean Miata with free warranty is available, take advantage of better terms for upcoming Summer, please call or text us (909)988-8800 . 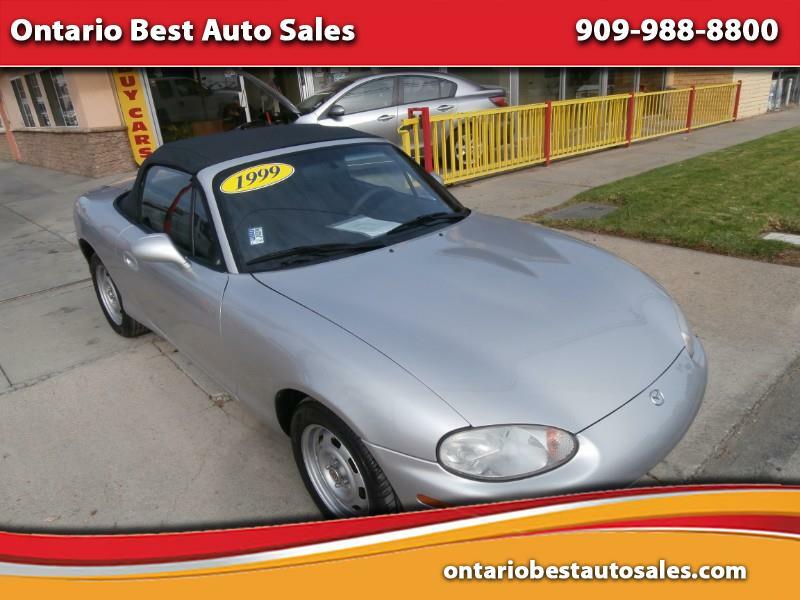 See our other cars and check for the most up to date information on our site WWW.ONTARIOBESTAUTOSALES.COM .All credit types welcome, no credit, low credit ,all. Interest rates as low as 2.99% O.A.C. All of our cars have been safety checked and completely serviced. Our cars come with free warranty and extended warranty is available. You buy not a used car but a peace of mind!